Let me tell you about that time I made four-day-old hair look fresh out the Dry Bar, and not a single %$#^ was given. Okay, maybe not FRESH OUT, but definitely almost. Shout out to my girlfriend Fro for pointing out Batiste Dry Shampoo to me. She recently sent me that typical girl-code shopping picture and text saying, "which one?" and low and behold, I see a shelf shrine of Psssst! Instant Dry Shampoo Spray and Batiste™ Dry Shampoo. Having heard of both, but no clue about either of them, I jokingly said, "Go with the Batiste. 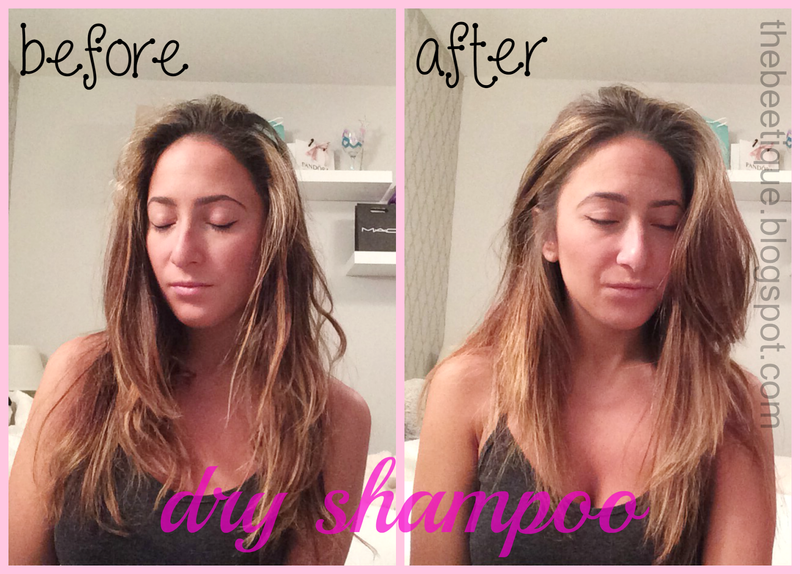 I mean after all, it IS voted the #1 favorite dry shampoo". All I have to say is I'm glad I did. If you know me, you know I'm 100% anti-consecutive hair washing [read my 10 Commandments of Happy Hair here]. Last month I blogged about What's in My Travel Bag, and a travel size Psssst! Dry Shampoo Spray made the cut. Needless to say, I breezed through that bottle faster than a speeding bullet. Next thing I know, I'm back at Harmon, this time sending Fro pictures of full sized bottles and texts saying, "which scent should I get?". I've done the old "baby powder straight to the roots" trick on oily days for as long as I can remember, so you can imagine how excited I was when dozens of brands started coming out with dry shampoo lines. I've tried a few brands such as Pantene and Herbal Essence. All of them did the job, but at the end of the day, the amount of product sitting on top of my head made me look and feel even worse. 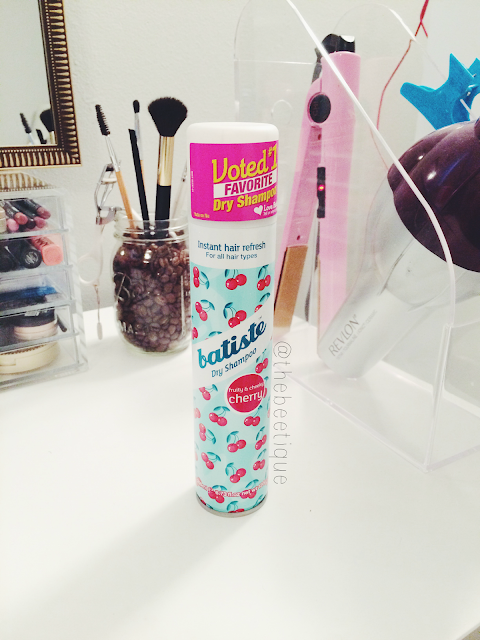 Batiste Dry Shampoo doesn't even come close to making me feel that way. On the mornings I cannot stop hitting snooze until the very last possible second, I section the top half of my hair in generous pieces and spray my roots with Batiste, or anywhere that oil seems to cling to. If you have trouble routinely sectioning your hair for styling, I wrote a great tutorial on Sectioning 101, and use the same technique for dry shampooing. Batiste is truly like baby powder in spray form (which, BTW, actually comes out white - so spray gently!). I then brush out the sections that were freshly sprayed and run my fingers through my roots giving them desirable volume. Voila! Can you believe the before and after photo above on day four of unwashed hair? My new holy grail is literally a miracle product. 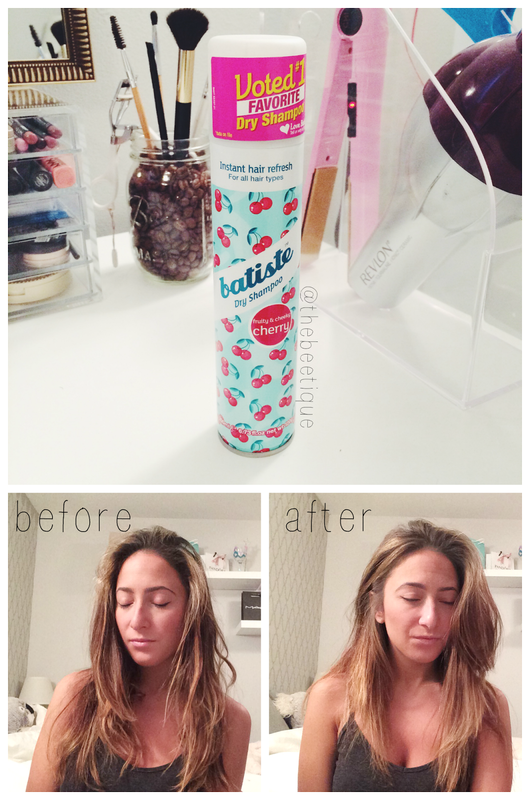 Batiste Dry Shampoo comes in 7 different fragrances and 3 hints of color to match your hair. go ahead, pin that ish!